As a Filipino, it is always our duty to uphold loyalty and patriotism to our country. When we were conquered by foreign invaders, we have adopted their ways; language, arts, music, culture and tradition. For hundreds of years until the present time, we have these influences on our lifestyle; our way of living. We have embraced colonialism and we have slowly neglected our original identity of being a Filipino. Although, we are considered to be of mixed races by blood, still our identity will be the soul of our nation and as One Filipino, we will take pride of our culture wherever we are and in whatever that we do. In today's time however, there is a need to preserve our culture through the arts. The latest generation of Filipinos would have to appreciate the richness of the Philippine culture and pass it on the next generation. Culture and tradition should never stop and it must continue to exist and evolve, but not to obliterate. Hence, we can truly preserve it not only in literal form, but also in our minds and hearts. To appreciate and preserve our culture through the arts, the Cultural Center of the Philippines has been celebrating its annual Pasinaya Festival, the term which means to 'inaugurate' or the 'opening' of something that is grand and festive. The Pasinaya festival, on its 14th year is gaining a much deserved attention from those who love arts and culture. It is a 2-day festival dubbed as "Palihan at Palabas" where art lovers can enjoy workshop offering on various arts like dancing, singing, acting, writing and theatrical performances. This is followed by a great showcase of artistic talents and renditions before thousands of viewers who appreciates and loves art. This is my 4th year to experience the Pasinaya Festival and it never failed to amuse and entertain. It's the great feeling of being a Filipino to see performers from different art genres who came from different parts of the country. The viewers continue to grow every year and they are joyful with the presentations which they may have not seen before. The elegance, graciousness and glamour of ancient Filipinos only shows some refinement with their way of living. So today, in our time we take a glimpse of how modern Filipinos can take us back to the early days where life seem to be simple. The CCP Resident companies are always on the spotlight. The classical pieces of Philippine Philharmonic Orchestra; The modern pieces of the UST Philharmonic Orchestra; the gracefulness of Ballet Philippines and Tanghalang Pilipino and the Bayanihan Folk Dance Company and other performing groups have shared their timeless pieces that are truly a product of class and elegance. 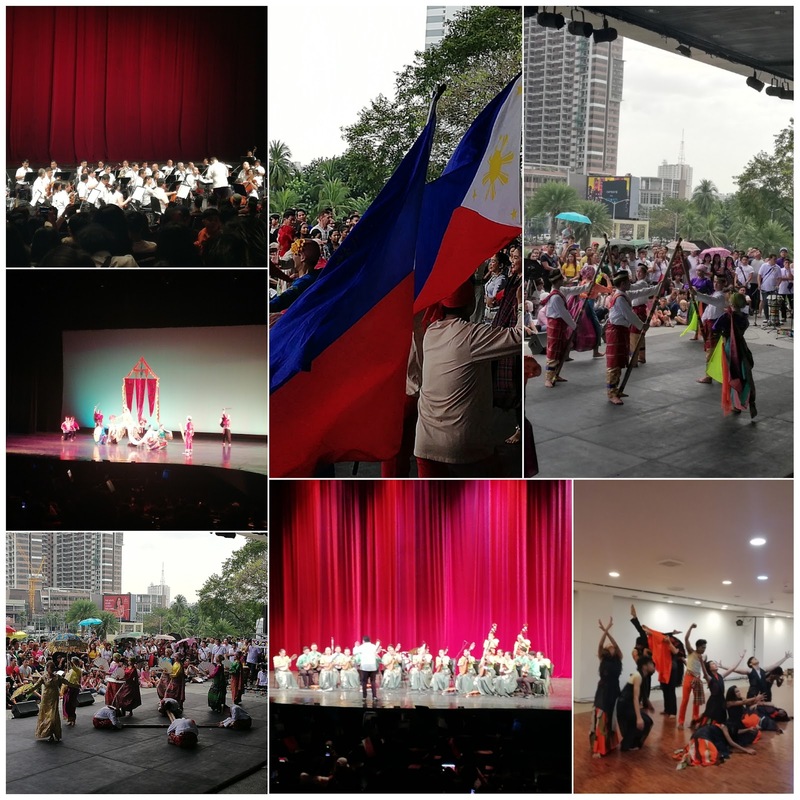 Last year's Pasinaya 2017: Arts for Peace was a great experience and the viewers were moved by the years' theme when Filipinos can be united through arts despite the unending conflicts. Arts for peace is significant in years to come as we battle to achieve everlasting peace and harmony. While on this year 2018, is a calling to show our deepest love for arts to revive our pure sense of patriotism. Cultural preservation and fascination through arts will go a long way if we are united and show deeper love and loyalty to our national identity. Pasinaya Festival will be one of the greatest gifts that we could offer to the future generations as they continue to reflect deeply on who they are and what they can show and contribute to the world. This is just a beginning of igniting our artistic abilities to prove ourselves and show to the world that we are a Filipino with a soulful desires and greatest love to our nation through cultural appreciation and rendition.